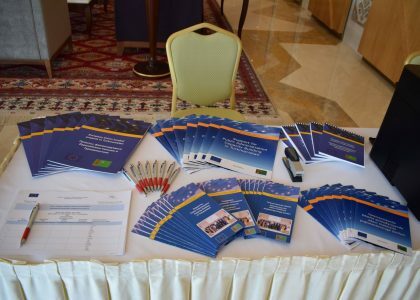 On 6 December 2018, a workshop on Classification of Civil Service positions was organised within the framework of the EU funded project “Support for Public Administration Capacity Building in Turkmenistan” implemented in cooperation with the Academy of Civil Service under the President of Turkmenistan. 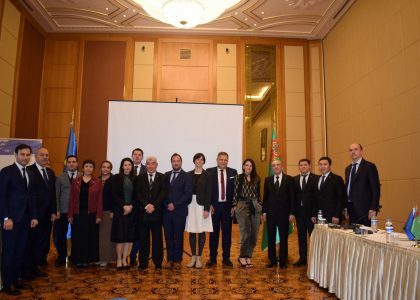 Representatives of Mejlis of Turkmenistan, Ministry of Adalat, Ministry of Education, Ministry of finance and economy, Ministry of Foreign Affairs, Ministry of Labour and Social protection of the population, the Institute of State, Law and Democracy gathered to discuss the main aspects of different concepts, types, characteristics and requirements for the register of civil service positions. Mr. Folkert Milch, Team Leader of the project, in his speech mentioned that development of civil service and introduction of modern principles to it are the key factors, which have a great impact on the efficiency of public administration. He familiarized the audience with the main concepts of civil service classification system in Germany, providing practical examples. 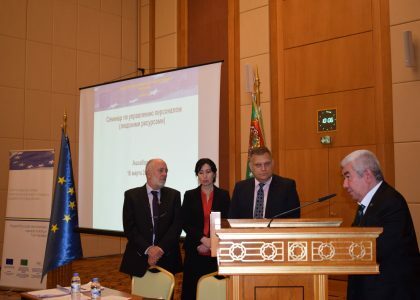 Project senior expert Professor Ms. Elena Doryna, presented international experience in the development and implementation of classifiers and registers of posts in the civil service system. Her presentation was followed up by the example of civil service system of UK, USA and Belarus. 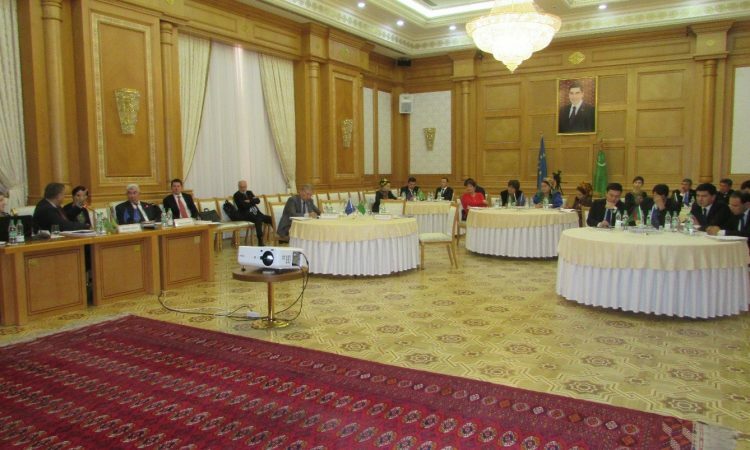 Professor Mr. Murad Haitov, senior expert of the project, made a detailed review of the provisions of the Constitution and legislation of Turkmenistan on civil service, focusing on the issues, related to the classification of civil service positions. The seminar aroused great interest among the media of Turkmenistan and as a result, an article about the event was published in the state newspaper “Neutral Turkmenistan”.